This is an extremely backdated review one of my favourite cuisine. Yup, sometime last year (yes, last year. 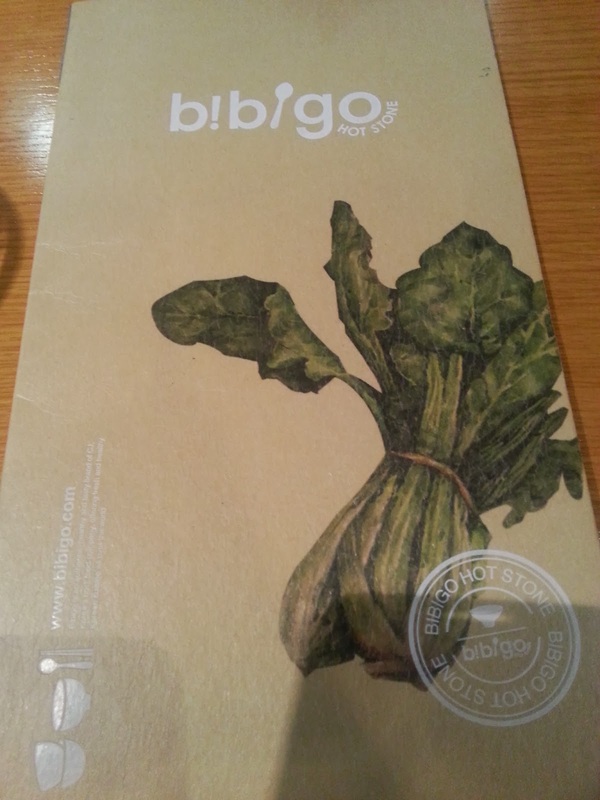 so do not expect any price listed for this review), I met up with PQ and P for some bibimbab at bibigo! 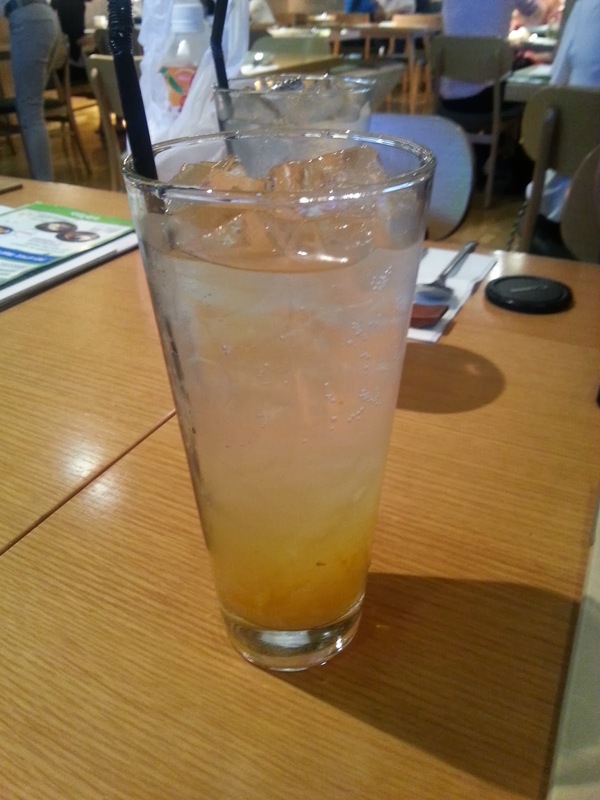 When we were there, there was a set menu promo that comes with a (limited) choice of main and a drink. I couldn't quite remember, but because we got 2 sets (or hit a certain expenditure), we got a complimentary dessert as well, which was so good I can still remember the taste of it in my mouth till now. No joke! 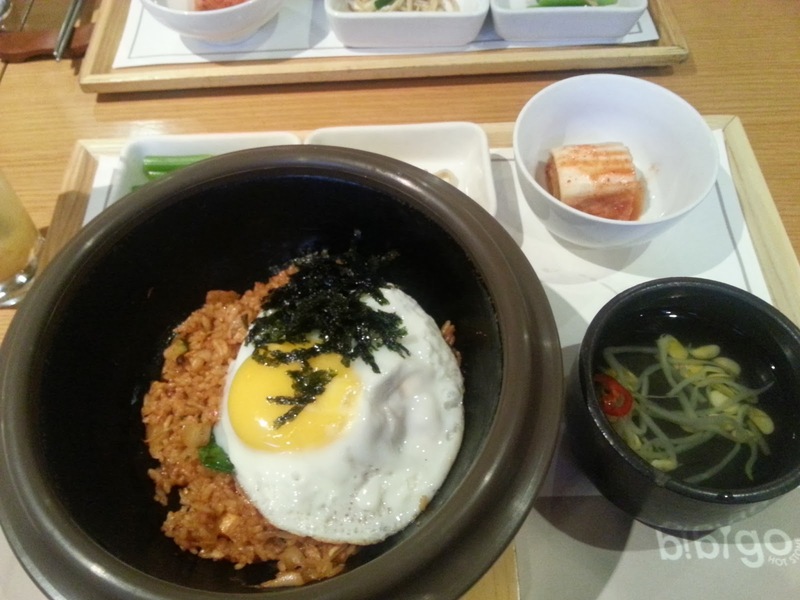 My main course for the day - Kimchi Fried Rice, which obviously came with a fried egg, sides, and beansprout soup. Nevertheless, in terms of taste, for a kimchi fanatic like me, there's nothing I can complain about. But for the sides (other than kimchi, duh!) and soup, there's really nothing worth discussing about. 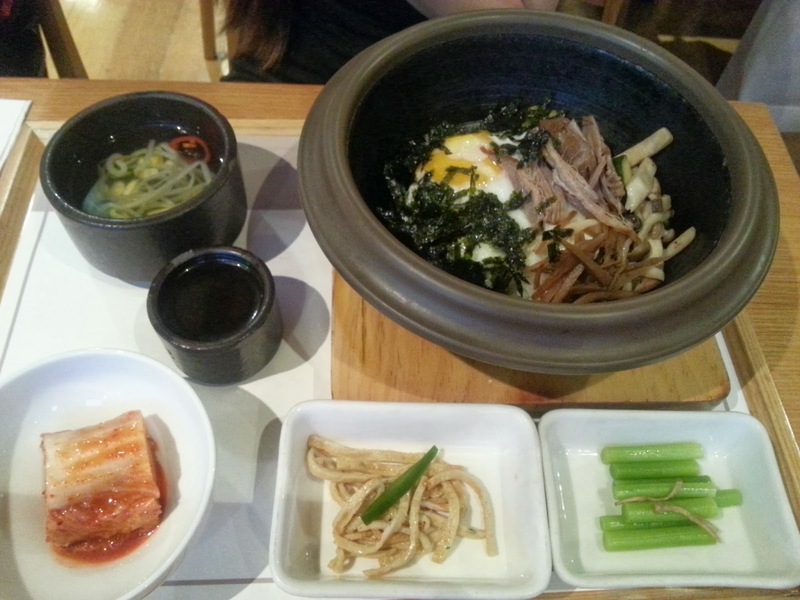 Here is P's beef (something) bibimbab, which looked and smelled really yummy too! Had a taste of it because she couldn't finish it all by herself. Sad to say that I didn't like it at all and the reason is obvious. They were way too generous with the spring onions! 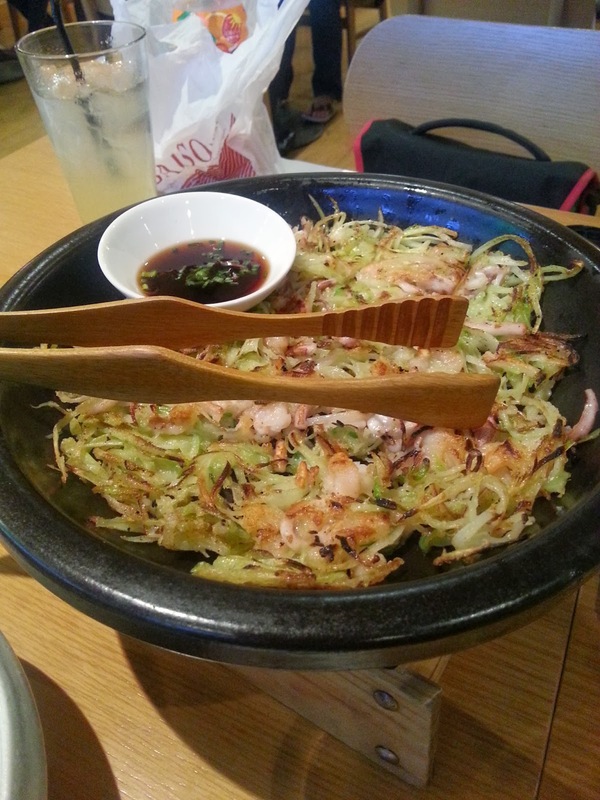 There was hardly any flour batter in this pancake, it's almost all spring onions with bits of shrimps and squids in it. So if you're a die hard fan of spring onions, go for it. If not, do consider giving this a miss. 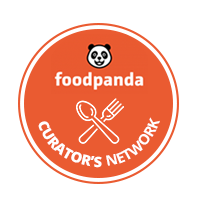 Basically, it's something like honeyed (or caramelised, or malt candied) sweet potato. I know it sounds meh, but first bite into this common looking dessert and my eyes simply lit up! It was so good! 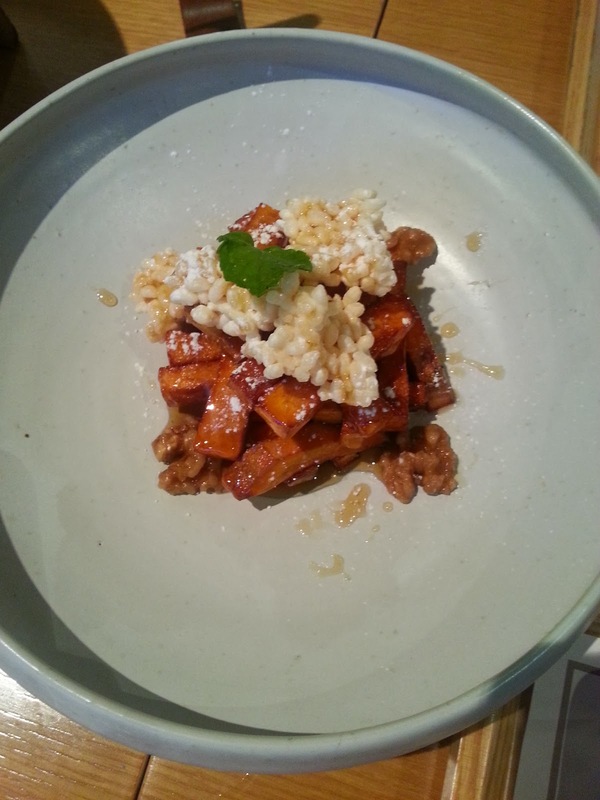 The sweet potato was soft, yet not mushy, and generously coated in the sugary goodness of honey/malt candy/caramel and then topped up with some crispy rice crackers.